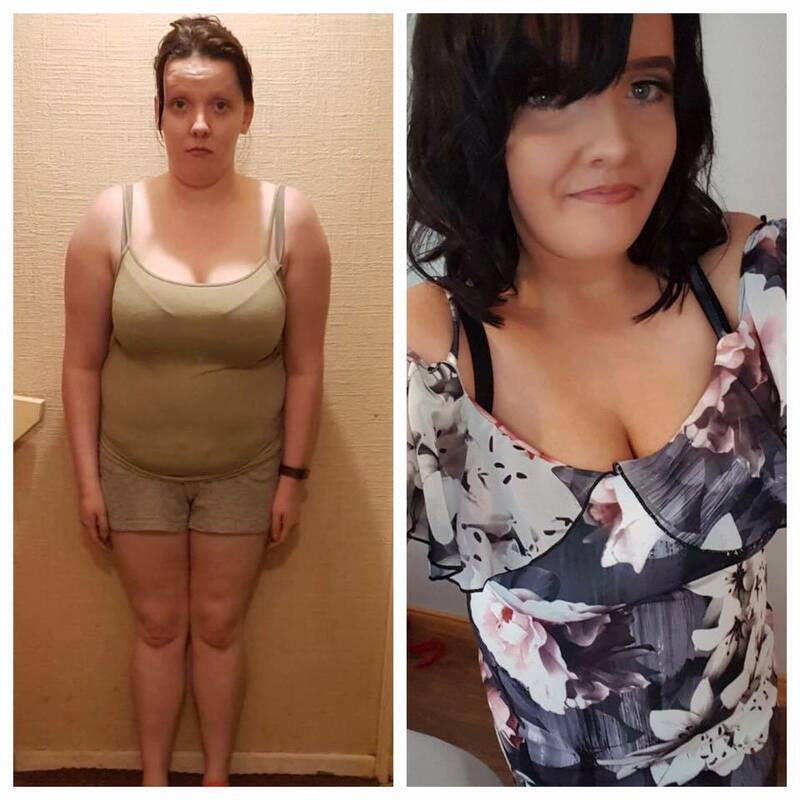 This is Sarah Louise.. Sarah Louise is one of our awesome members who has just joined the 50lb club! 😁 Doesn’t she just look fab now! Here is what Sarah Louise had to say…..
1. How did you feel with yourself before you started with us? Before I joined Evolve I felt horrible and so down before I hated leaving the house and I constantly anxious. 2. What where your thoughts of the gym as opposed to what we do? I was really scared before meeting with Aaron thinking it would be like most gyms but I was put right at ease after meeting everyone. Having no mirrors in the gym was the deal breaker for me aswell as the small groups. 3. Where are you now with your body i.e. How far have you came what have you overcome. I feel fantastic now in mind and fitness I can go out now without having a panic attack or feeling anxious it’s the best i’ve ever felt! 4. What makes Evolve different for you? 5. What would you say to someone that was in your position and would you recommend. I would say to anyone in the same position to go for it you have nothing to lose if you don’t go for it. It was the best thing I have done is joining evolve. My journey has had it’s up and downs in my personal life but I wouldn’t change any of it I now love going to the gym and push myself to beat my personal bests in each class. I feel the best I have ever felt and it’s all because of the coaches and other members. I’ve lost an amazing 50lbs from I’ve started and I finally have my confidence back! Prev Post: Find Out How Jess Lost over 50LBS! Next Post: My Top Tips On How To Deal With Bloat!